Probability is the very guide of life. 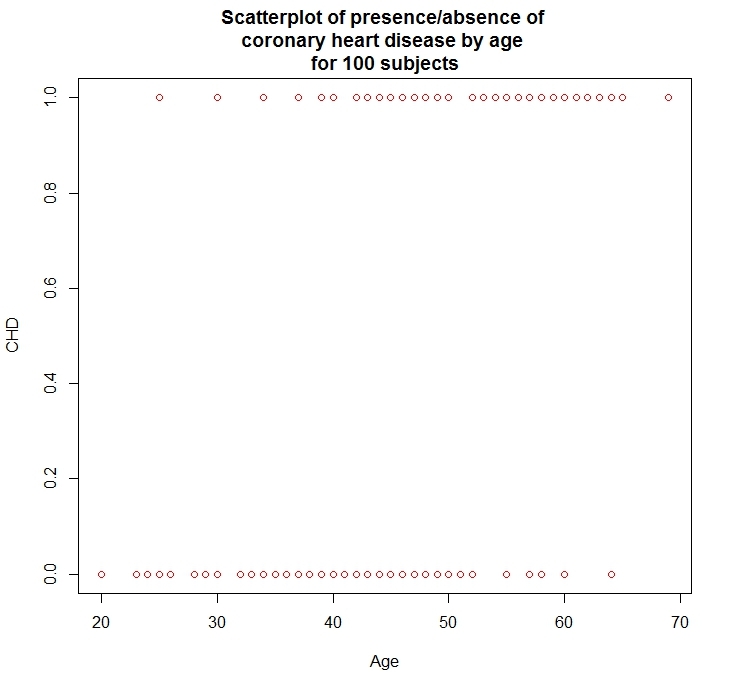 Given a two-column dataset, column one being age and column two being the presence/absence of heart-disease, we build a model (in R) that predicts the probability of heart-disease at an age. For a realistic model we aught to have big datasets with additional predictor variables such as blood-pressure, cholesterol, diabetes, smoking etc. However, the one-and-only predictor variable we have is age and the sample-size is 100 subjects! Plotting the data (see below) doesn’t really provide a clear picture of the nature of the relationship between heart-disease and age. The problem is that the response variable (presence/absence of heart disease) is binary. 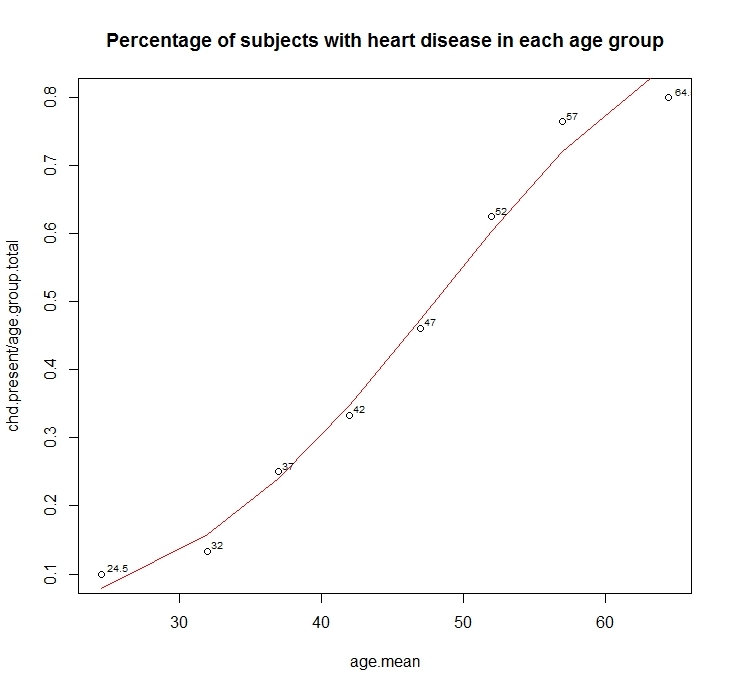 Let’s create intervals of the independent variable (age) and compute the frequency of occurrence of the response variable (presence/absence of heart disease). You can get the table below here. Clearly, the curve is non-linear, but the logit-transform makes it linear. Thus, logistic regression is linear regression on the logit transform of y, where y is the probability of success at each value of x. Logistic regression fits b0 and b1, the regression coefficients. Plotting the fit shows us the close relationship between the fitted values and the observed values. Below is the R code that generated the plots.